This is the incredible story of Leonard and Hazel Cherry, a couple that lived by their vows and did the unimaginable together. Going through the tale of this husband and wife is part inspirational and part tragic. 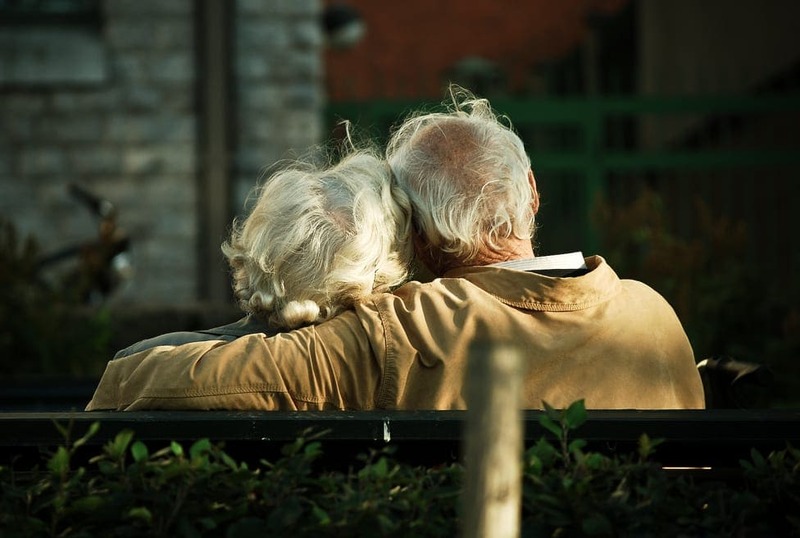 Not very often these days we hear stories about how great love endures and remains as strong as ever over the years. This story, of love and devotion between Hazel and Leonard is one of just that – total and unconditional love. 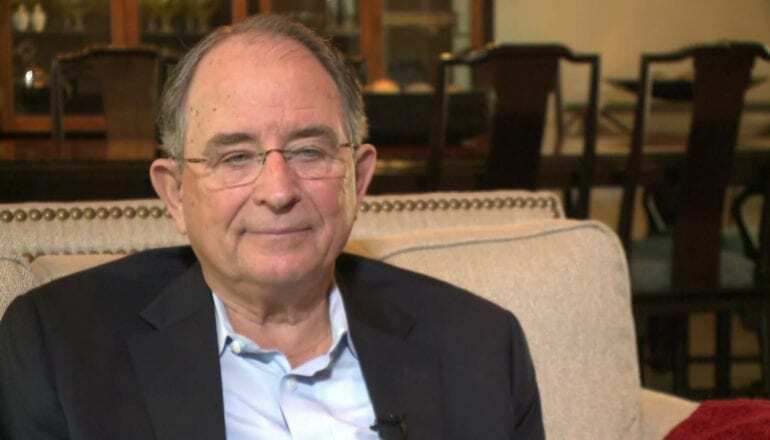 His son and grandson were interviewed in 2016 about the remarkable story of their parents and grandparents, respectively. Leonard and Hazel went through life from the 1940s through 2016 with a classic American family storyline that got abruptly side tracked due to a heartbreaking diagnosis. What makes this sorry even more unique is the end of it (which we will, obviously, leave for you to find out as we explain the story of this family along). The generations that were created due to the strong love of this couple are going to resonate for many years to come. This couple is not going to be forgotten for lifetimes to come – tales like this one don’t come around every day. They taught us what true love looks like, and how when the going gets tough and distance is between two lovers, nothing can break their bond but them. The world has been taken by this story, its message, and the very unexpected end. 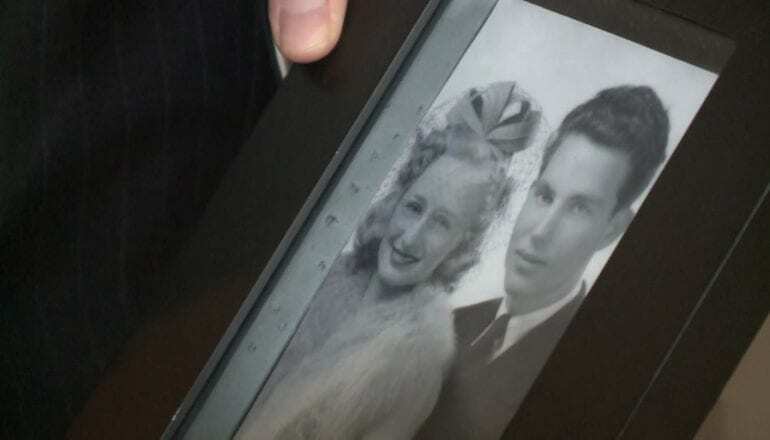 Let us take you down memory lane, from 1942 and the meeting of these two high school sweethearts, to their marriage that withstood war, their family, and ultimately, the unbelievable conclusion to both of their lives that no one thought would be possible. 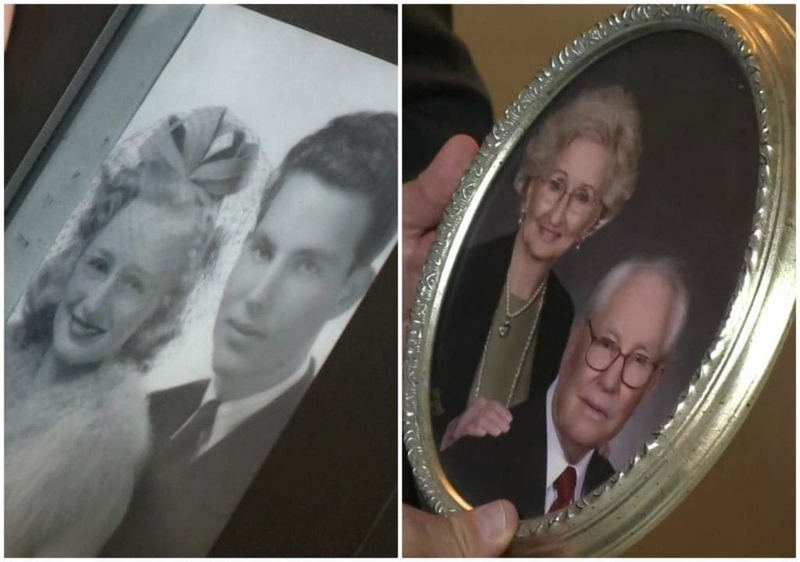 Leonard and Hazel met in high school when they were both freshman. Once they got together there was no separating the two. Hazel couldn’t take her eyes of off Leonard and he couldn’t do the same. These two lovers shared everything together, until a Dementia diagnosis nearly tore them apart and had the whole of the Cherry family devastated. We are going to start with the very beginning of this tale. Leonard and Hazel were born very close to one another but didn’t meet until high school as they were living in two separate towns that were close together. As soon as they met they instantly connected. They were friends before anything happened between them romantically, their friendship was organic as their personalities were perfectly compatible. When they slowly entered into a relationship, it was evident that this was no ordinary love story. Once they decided to be together, falling in love was a matter of (very little) time. 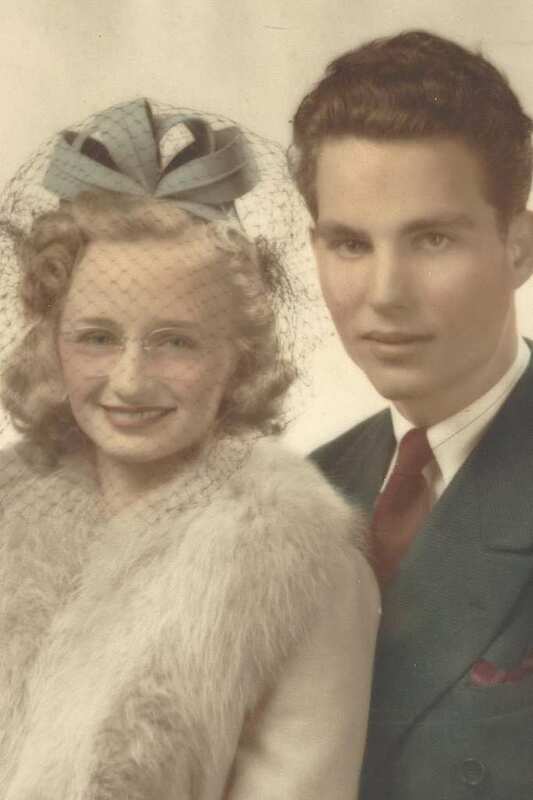 Leonard and Hazel were high school sweethearts who were adorably in love and everyone knew it. Those around them knew that was these two had was unique, deep and true. 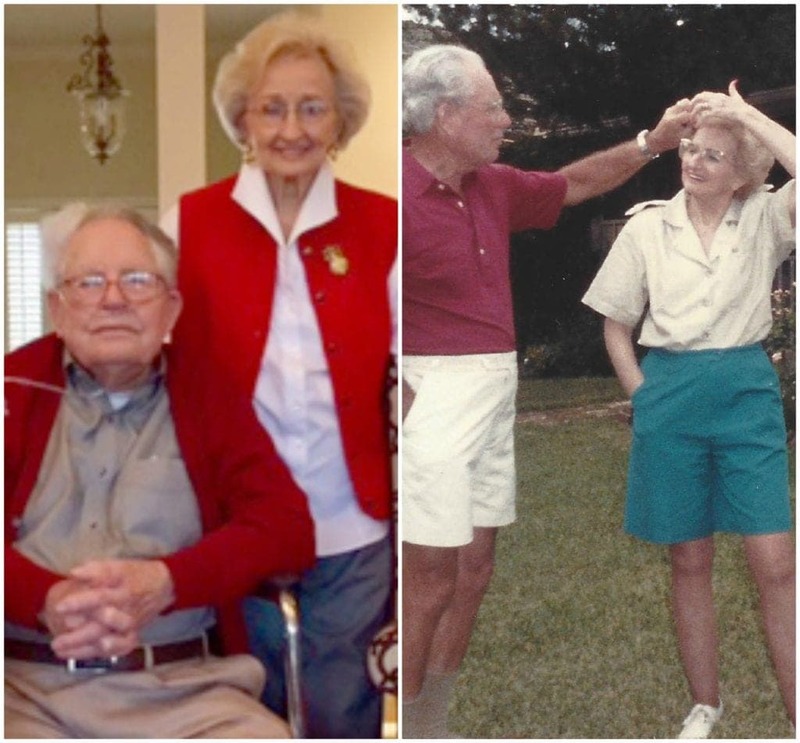 They served as inspiration for their friends as to what true love looks like. 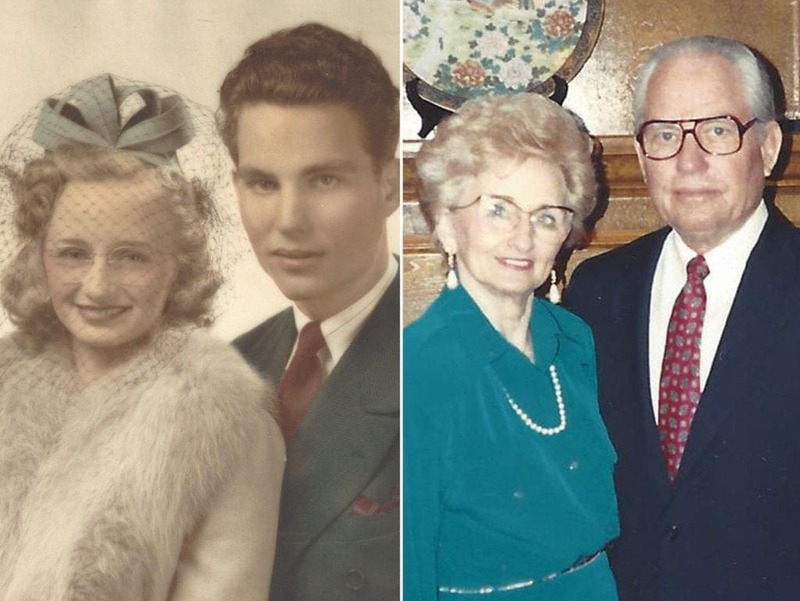 The adorable duo married in 1942, exchanging traditional vows that they didn’t know at the time would come to be more literal than anything. Once Hazel and Leonard were married, they were entirely inseparable. Many married couples want to make sure that they remain who they were before they met their spouse, a mentality that is thought to be healthy even in todays standards. However, these two wanted nothing more than spend every moment together. Leonard and Hazel didn’t want to leave each others side no matter what. Indeed, since 1942, the couple known as ‘the Cherry’s’ was an item in all aspects of the word. 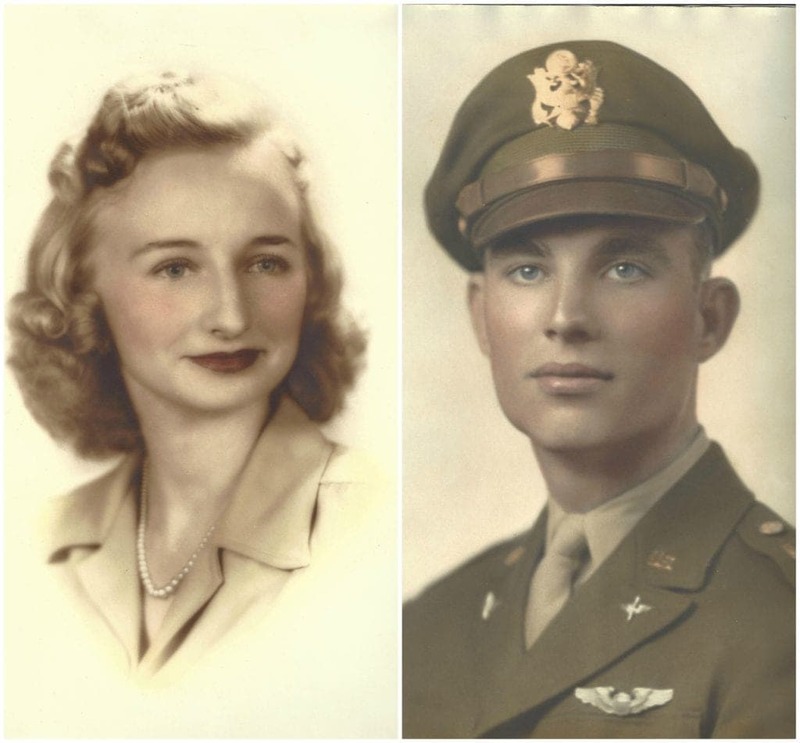 While being together was the most important thing for them, there was one thing that came up that was important enough for Leonard to leave Hazel (for a while) for – World War II. 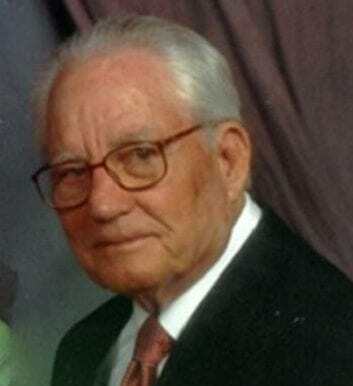 Leonard enlisted in the united States Air Force during the war. He was stationed in Carswell where he was spent the initial part of his service. Leonard’s love of his country was as powerful as his love for Hazel. 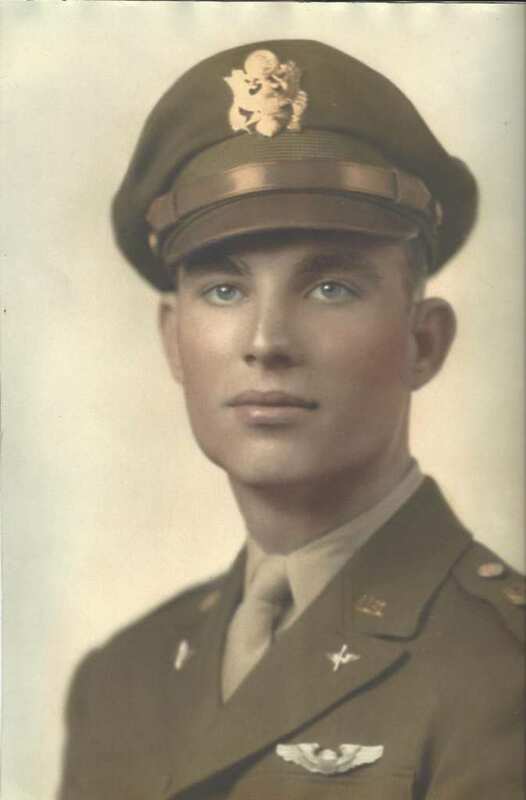 During the time that Leonard was in the Air Force, he helped train a large number of starting pilots. His official role in the war was as a bomber pilot. Leonard was bounced around several bases during the war, doing his duty as he saw fit, all the while Hazel waited anxiously for his return. Once the war was coming to an end, Leonard was excited at the prospect of being reunited with his beloved Hazel. There are many men who were changed by the war, who were dreading coming home, Leonard was not one of them. As soon as Leonard and Hazel were reunited, they decided to take the next step in their relationship, the natural step, and have a child. The fact that Leonard returned home unharmed gave the couple a new resolve to stay together, remain healthy, and expand their family. In 1944, less than one year after Leonard returned from war, their son David was born. It seems that these two couldn’t wait to become parents, or keep their hands off each other after so many months apart. 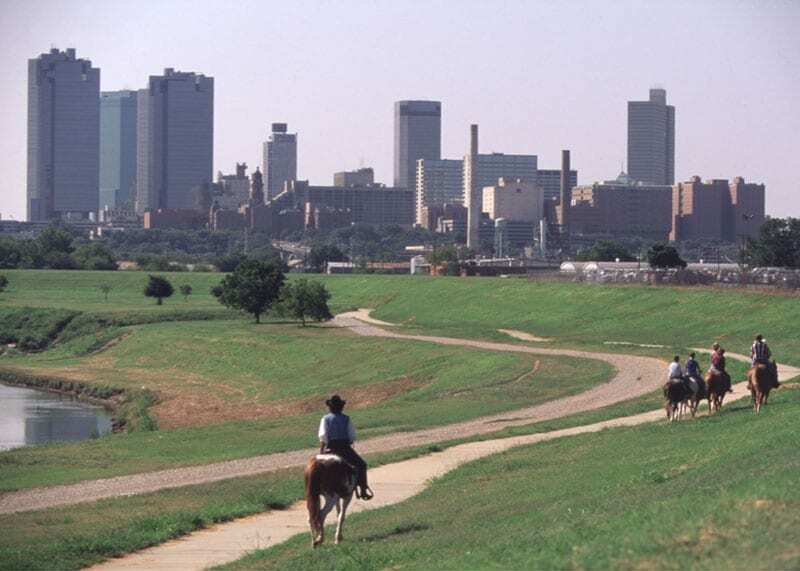 Leonard, Hazel and baby David moved to Fort Worth, Texas soon after he was born. The family, that still very much wanted to spend as much time together as they possibly could (how incredible! ), was brainstorming ideas as to how to make a living while remaining very close to each other. The conclusion that they came to was that they would start their own family business, solving the issue of time apart and steady income. 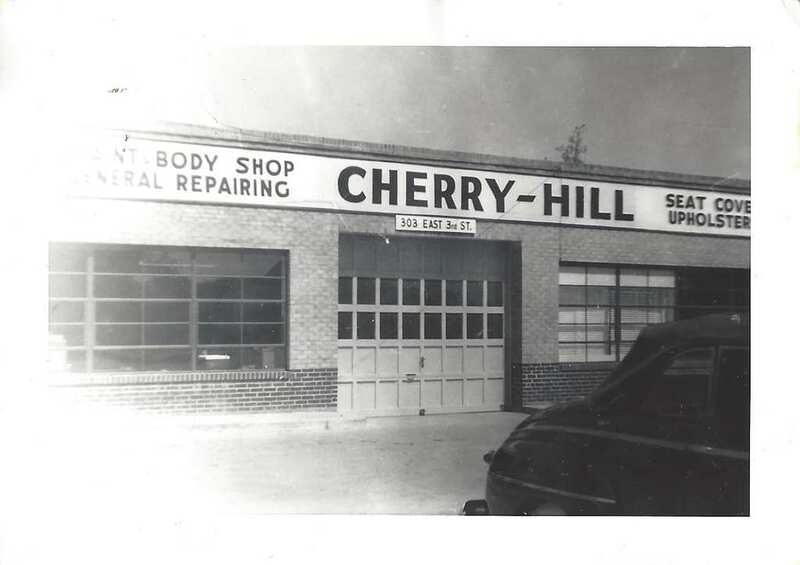 Leonard and Hazel decided that they would open an auto repair shop that they called Cherry Hill. Leonard wanted a place where he could use the skills he learned while he was in the military, along with his love of getting his hands dirty. The couple was very proud of their successful business, that was opened for many years in Fort Worth. The family business allowed the couple to remain together throughout the day yet make the income they wanted. 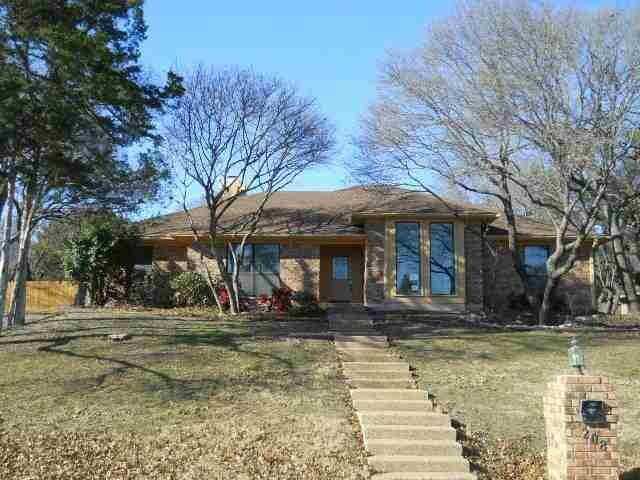 Once the couple decided to close Cherry Hill, when they were older and had gotten their fill of the auto repair industry, the couple moved to Woodway, Texas, a small Texan town with a very limited population. 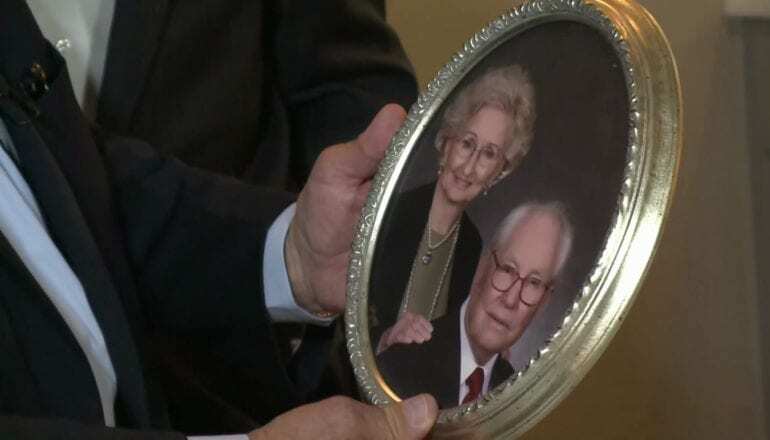 The couple relocated to be closer to their children and grandchildren as they were entering the stage in their life when they were all about grandchildren. The duo that was always with one another, wanted to be even closer with their sweet family. The Cherry family was first and foremost a united one. 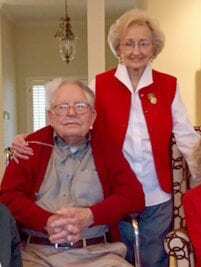 Hazel and Leonard were together on a constant basis and their newer generation added more precious people, lovely moments, and family ties to everything they did. Throughout the years that they were together, Hazel and Leonard were more in tune with one another than usual. There was something about this couple that made others stare in awe. Leonard and Hazel had one of the most stable marriages we have ever heard of. Their son, David, was interviewed for People magazine in 2016 and stated, “They never really spent a day apart unless it was for a family emergency or something. And I never heard a cross word between them. I never heard them raise their voices to each other unless they were calling across the yard. They didn’t fight!” These moments of bliss were timed, though. 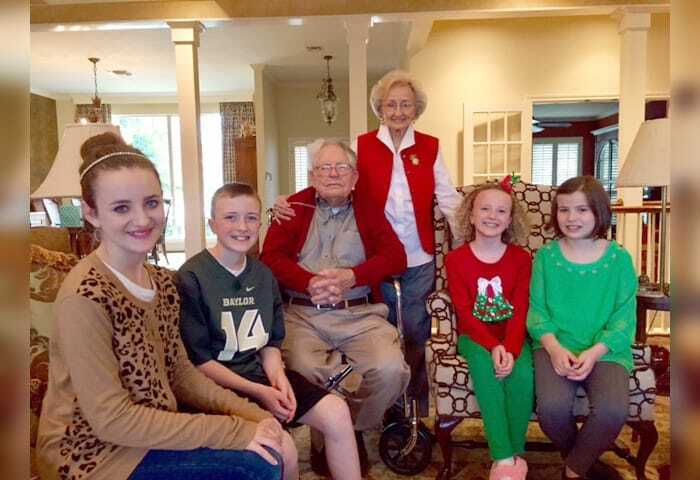 Leonard and Hazel were deeply loved by their young grandchildren as well. Leonard went to every single basketball game his grandson had, as well as almost every single one of his practices. The two Cherry grandparents were nothing if not attentive to their grandchildren, showering them with constant love and being there for them at any given moment. There was never a question of Leonard and Hazel’s appreciation for their family. As part of David’s interview with People magazine, he explained, “The kids just adored my parents, they had such a special relationship, they were so close and came to all of their school events,” David continued “When my son was growing up, dad came to all of his basketball games.” David spoke proudly of his father. 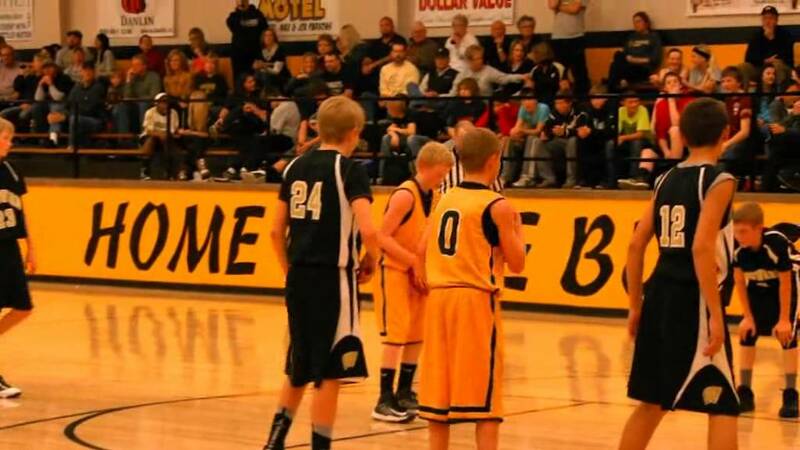 Sadly, after the many years of basketball game appearances, everything was about to change. Everything was going so well for the Cherry family until the heartbreaking diagnosis – Leonard had Dementia. According the the Alzheimer’s Association, Dementia is “Dementia is a general term for loss of memory and other mental abilities severe enough to interfere with daily life. 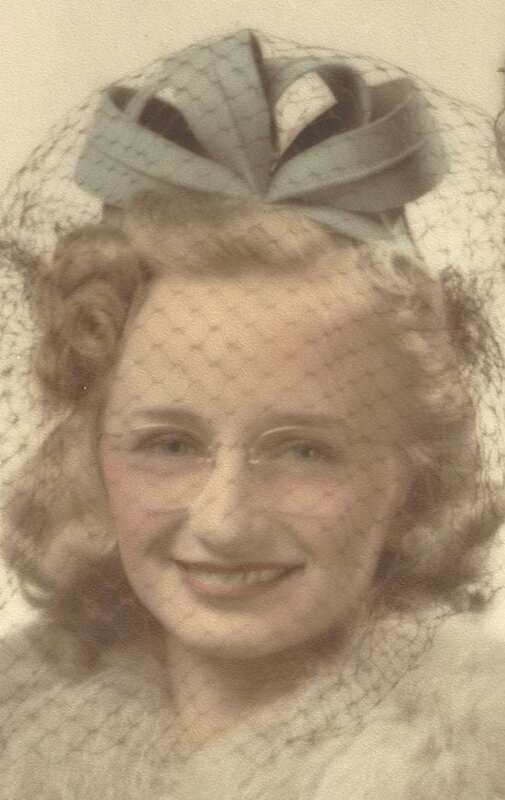 It is caused by physical changes in the brain.” Although the diagnosis was bleak, Hazel immediately vowed to be there fore Leonard no matter what, just like her vows stated. When Hazel said she would do it all for Leonard, she wasn’t messing around. 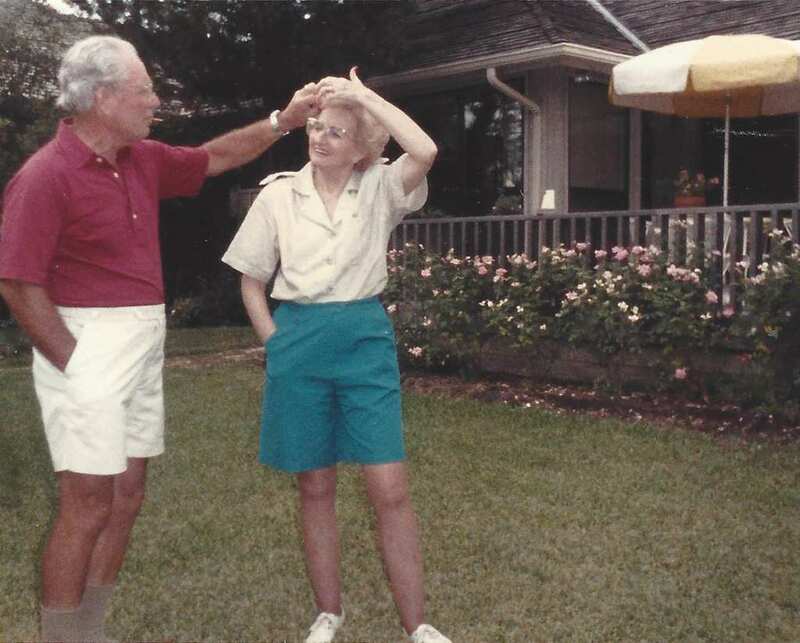 When Leonard was getting worse and he needed to be moved to a memory care facility in Waco, Texas, Hazel made sure that she saw him every single day, just like she would if he were living at home. As strong as she was, Hazel was distressed at seeing Leonard in such a state and getting worse by the day; it took a tole on her as well. Despite being a hard transition for the loving couple, Hazel got into a routine with Leonard and the staff at his facility. She was friendly with everyone, keeping tabs on Leonard and his progress or lack thereof. Hazel made it her mission to learn as much as she could about what Leonard was going through, there was a part of her that hoped that he would get better. Hazel realized after some time that her hopes were not realistic. Although she was told that her hopes were unrealistic, Hazel remained determined. 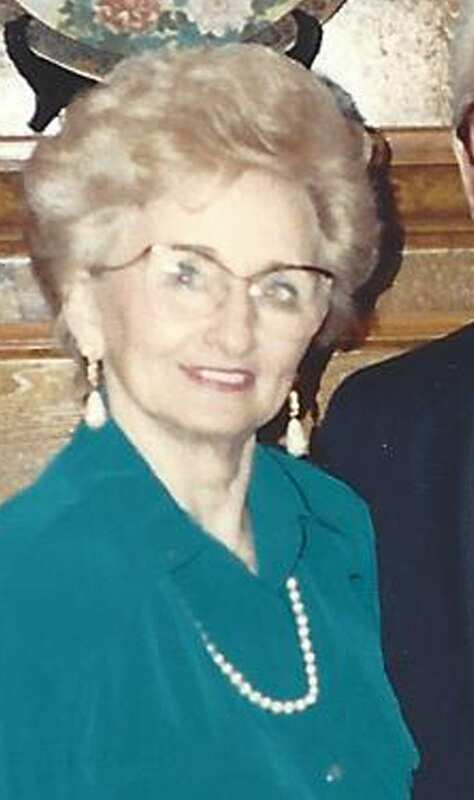 Through connections she had at the facility he was in, Hazel moved into the independent living section of the facility. As such, Hazel had permission to spend as much of her day as she liked with Leonard, often spending nights up with him, soothing him when he would become distressed. Hazel’s mission was to be the one to hold both of them up, giving Leonard strength. Their son, David, explained that, “She was with him every day and ate lunch with him in his room. There was no question that their love was always there.” The farthest Hazel would go would be to the local grocery store to get her groceries, but even that wasn’t far. Hazel couldn’t stand being far away from Leonard, or the thought of him being alone. As David said, there was no question of her devotion. With Leonard continuously getting worse, the other members of the Cherry family urged Hazel to spend some of her strength on herself. Hazel would not hear any of it. Leonard was her other half and without him she was not herself. Hazel didn’t know what it was like to lead a life without Leonard, she had been with him since high school. As Leonard’s health was declining, there was a growing concern over Hazel, and for good reason. In an unbelievably sad turn of events, Hazel suddenly passed away in October of 2016. 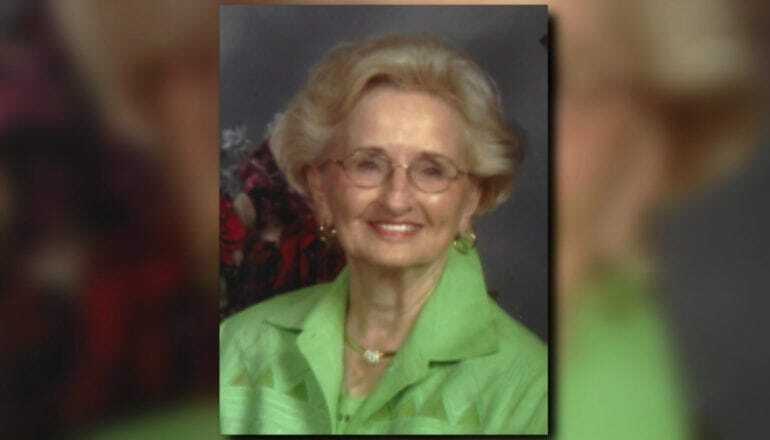 Her son, David, said, “She started getting tired and weaker and on the day she passed, she couldn’t get out of bed,” David continued “My daughter was talking to her when she blinked, smiled and let go.” The death of this family’s matriarch shook them to the core. Hazel was healthy, it seemed she was just heartbroken at her other half’s failing health. The question on everyone’s mind, however, was how they were going to tell Leonard. Leonard, suffering from Dementia, wasn’t entirely lucid most of the time. Despite his health, though, he needed to be advised of his wife’s passing. 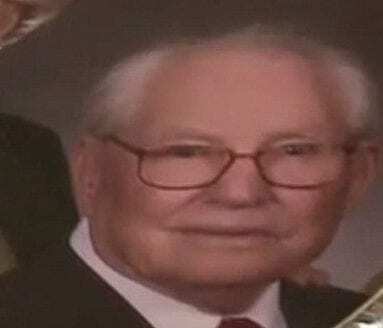 The family called the facility to talk to Leonard when the caregiver advised them that Leonard was in distress and erratic, as if he knew what had happened before anyone had told him. The caregiver continued to speak with the family as she needed to inform them of one more article of terrible news. 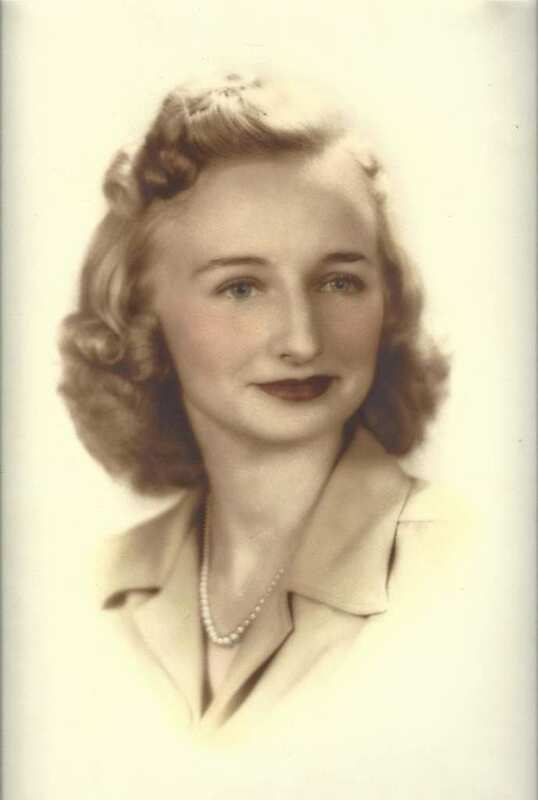 Hazel was in constant good health her whole life, until the last week of her life. A week before she passed away, she was taken by ambulance to the hospital. She had suddenly became very lethargic and weak, almost as if she knew that at 93 she had done all she could for Leonard and that it was time to go. It also seems as though she knew that that day would be his last as well. She wouldn’t leave the world alone as Leonard would join her. About his parents, David said, “They had so much love for each other. 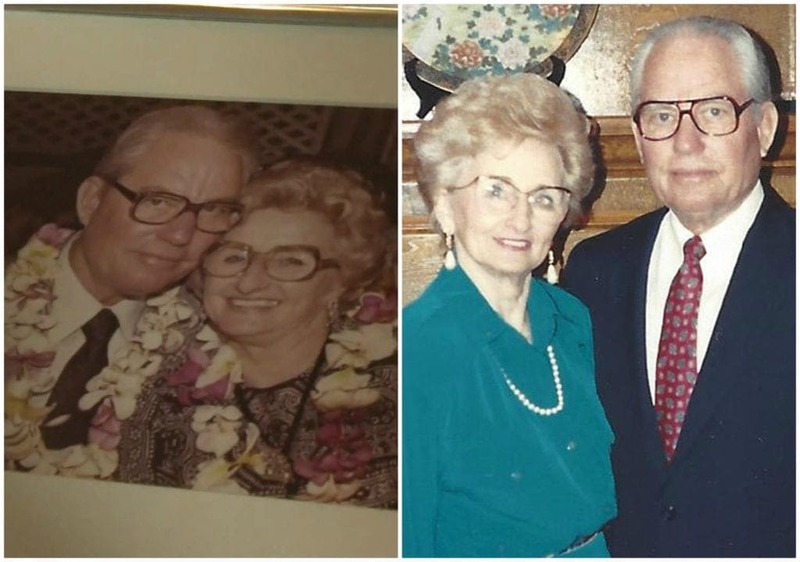 No question, they are both up above, smiling… They’ll always be together.” As hard as it was to lose both parents on the same day, it was comforting for them to know that they were together wherever they were and that neither of them would ever be alone again, just as they had always wanted it to be. 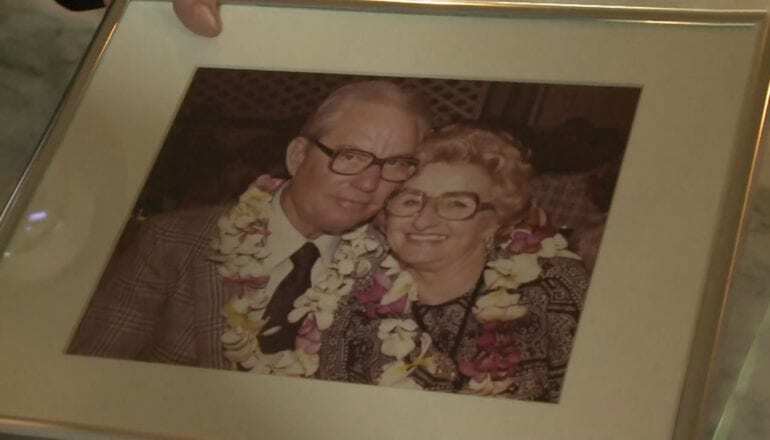 Hazel and Leonard passed away nine hours apart for each other. David, their son, said that he believed that his parents were connected on a level that no one could understand. His father knew that his mother had passed and therefore felt like he could let go as well. A love like theirs is no longer common, sadly, and the phenomenon that happened here is one that is truly remarkable. “It’s what God wanted, and I think it’s what they wanted too.” David’s words spoke true for anyone who knew Leonard and Hazel. This was the ending the couple wanted for each other. 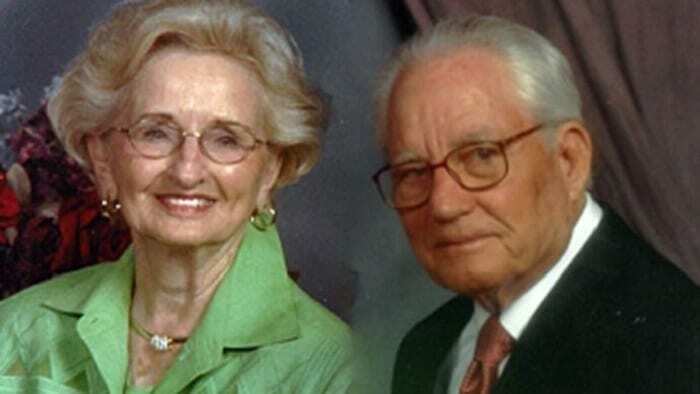 They wanted to pass away peacefully at the same time so that they would be together forever. They never wanted to endure the reality of the world without one of them being alive. David, as much as he was at peace with his parents passing, was very emotional about their death – they were his parents after all. He said, “It’s kind of hard you know, you can’t pick up the phone and call them anymore.” David said. “The more I began to think about it, I began to smile because of how much they loved each other.” There is a conflict of emotions here, both joy for his parents and sadness for his own family who lost two very important people. 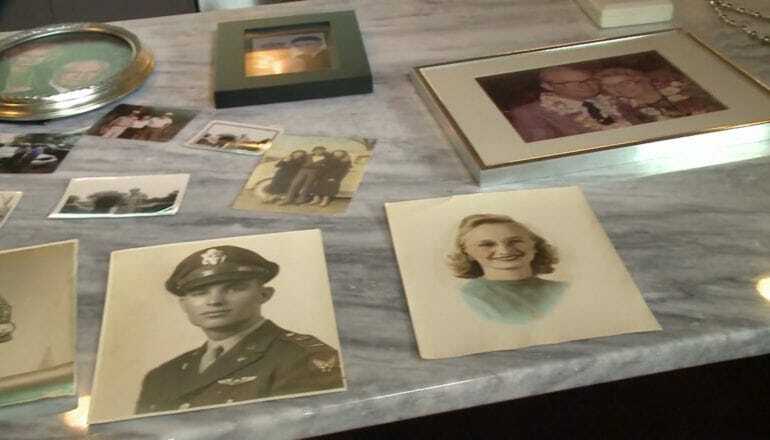 David was open with CNN about his parents passing in an interview with them in 2016. He said that his emotions were indeed also conflicted and mixed with both his own significant pain but with the comfort he had with his parents dying together. 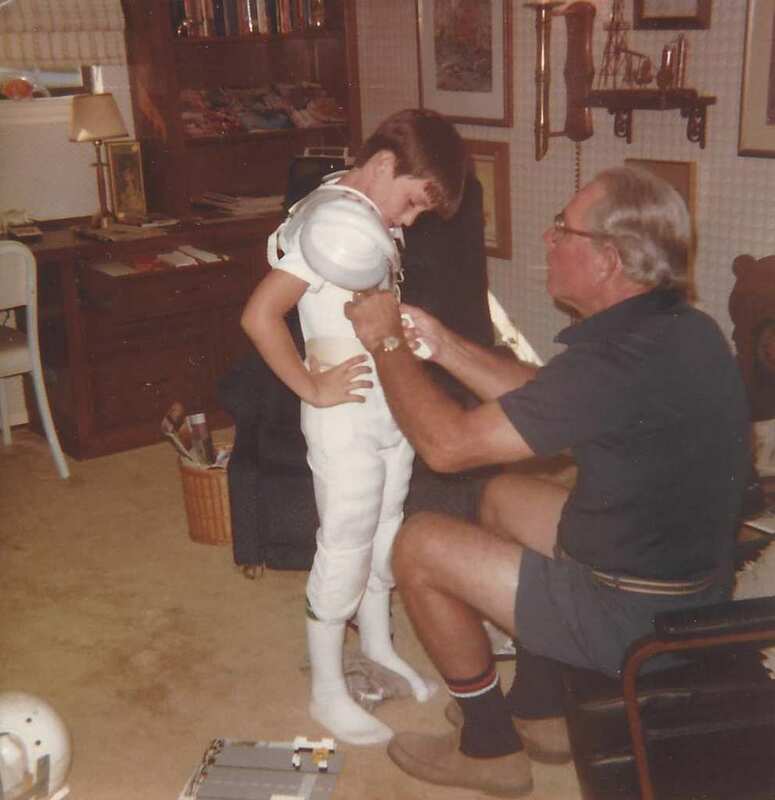 His words were, “I feel blessed that Daddy’s suffering is over, and I feel blessed that Mom is with him and that she didn’t have to live alone.” Here we see David’s son, Craig. 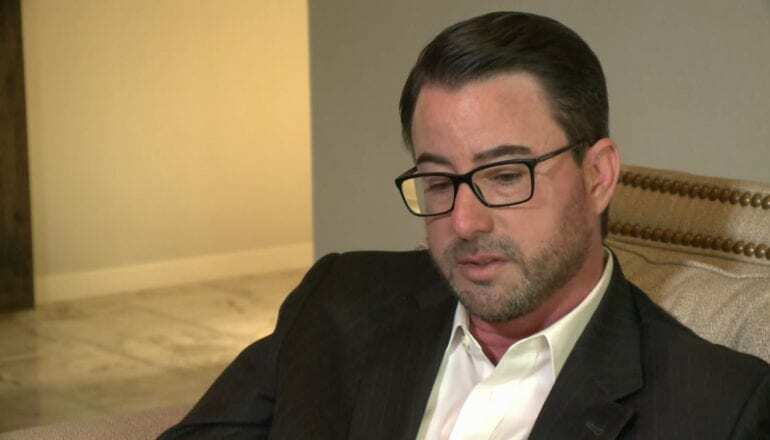 Craig Cherry, David’s son, stated that “There is no question in my mind that my grandmother was waiting for him in heaven with open arms,” when he interviewed with Fox 6 News. The family as a whole misses Leonard and Hazel more than their words can express but they are certain that they will meet again one day and that in the interim, the heads of the Cherry family are together looking down on them.